ECUADOR, Dec. 5 (CGTN) -- Ecuador's Vice President Maria Vicuna announced her resignation on Tuesday, one day after President Lenin Moreno relieved her of duties amid an investigation into payments she received as a legislator years ago. Vicuna's resignation was the second time a vice president left since Moreno took office in May 2017. Moreno on Monday assigned secretary general Jose Augusto Briones with the duties of vice president, without specifying for how long. Prosecutors are investigating funds that Vicuna received from a former adviser between 2011 and 2013 while she was a legislator for former leftist president Rafael Correa's Country Alliance (AP) party. Moreno said he took the decision so she could defend herself, but she had remained in office until resigning. "The president of the Republic has reiterated his concern for me. I understand that relieving me of duties was a way to ensure my legitimate right to defense," Vicuna wrote in a public letter. Last week, Vicuna acknowledged receiving the payments, but said they were voluntary contributions for a political organization aligned with the AP. She said she refused the adviser's requests to be named to government posts and as a result is now "a victim of slander." Vicuna, previously urban development minister, replaced former vice president Jorge Glas last year while he was under investigation in a corruption scandal centered on Brazilian construction company Odebrecht, which has admitted paying bribes to win infrastructure contracts across Latin America. Glas, a close ally of Correa, was later found guilty and sentenced to six years in jail on charges he pocketed a roughly 13.5 million U.S. dollars bribe from Odebrecht. 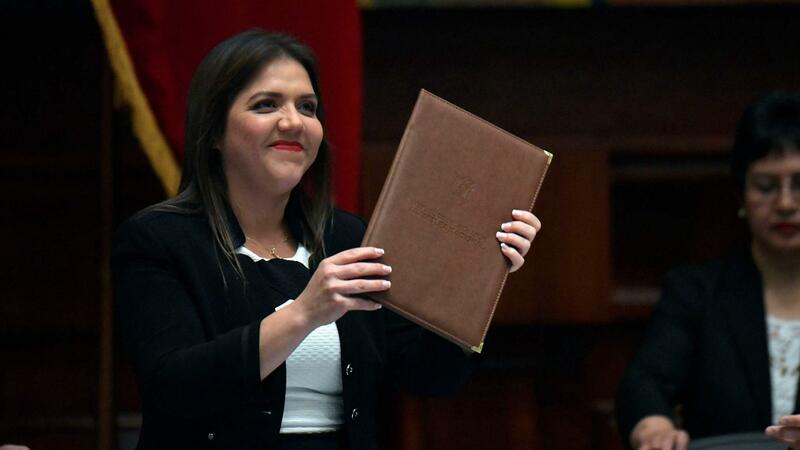 Moreno ran for president with Correa's endorsement but has largely broken with his predecessor's populist approach in favor of a more orthodox, market-friendly economic policy.